LCD/LED MONITOR TV Desktop Mount Bracket 2 Arms 13-30"
This high quality double arm, tilt bracket can be used for mounting LCD/LED TV's and Monitors to any desk or table. 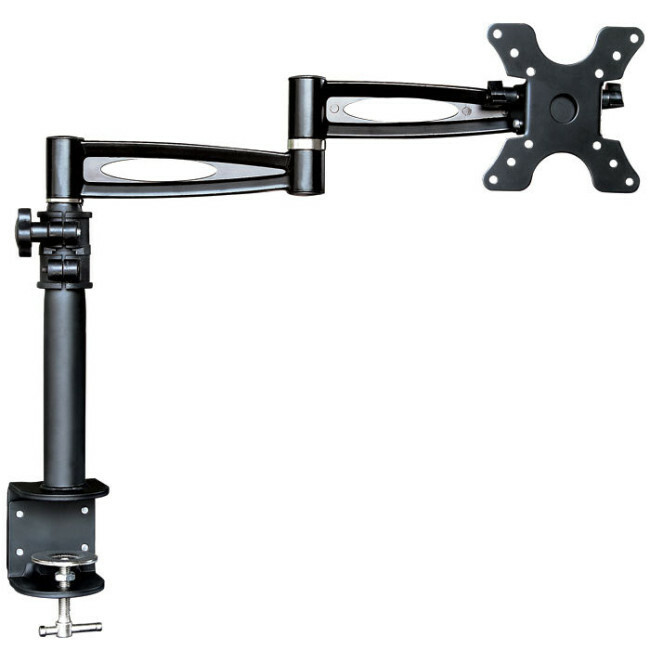 The extension arm allows you to have the screen up to 400mm from the clamp point. Measure the distance between the mounting holes on the back of your screen. This bracket fits VESA 100, 75 & 50 mounting patterns, which means that it will fit screens with mounting holes that are 100mm x 100mm, 75mm x 75mm, or 50mm x 50mm. The maximum weight capacity of this bracket is 6 kg. 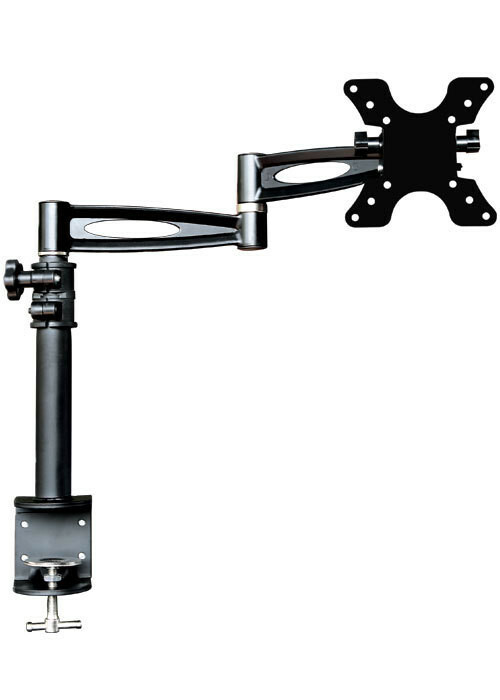 We have a large range on Plasma and LCD brackets in our store. Just click on the navigation panel to the left. 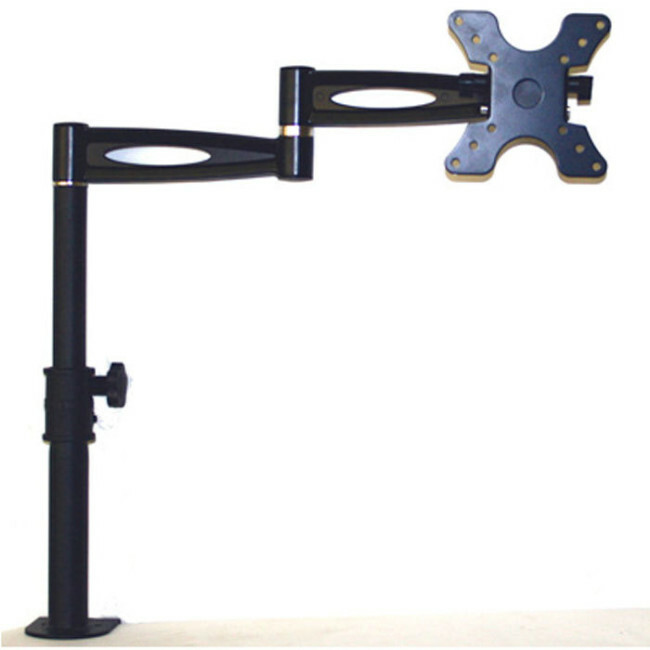 You're reviewing: LCD/LED MONITOR TV Desktop Mount Bracket 2 Arms 13-30"